This stylish mobile home designed by Hangar Design Group will be hitting the markets soon – which means you could actually have one of your very own! These prefabricated micro‐houses on wheels combine a sophisticated aesthetic with a quality guarantee. The prefab homes will have CasaClima’s Class A certification and will be produced according to strict criteria of absolute environmental compatibility. Yes, I would like more information on this home. I cannot find it on the website. I am curious as the square footage and the approximate price. I want to see more images. It isn't even on Hangar's website. For inspiring sustainable designs check out past winners of the Holcim Awards. http://on.fb.me/holcim-awards The 2011 Holcim Awards are now open for submissions. Enter your ideas today! This stylish mobile home designed by Hangar Design Group will be hitting the markets soon - which means you could actually have one of your very own! 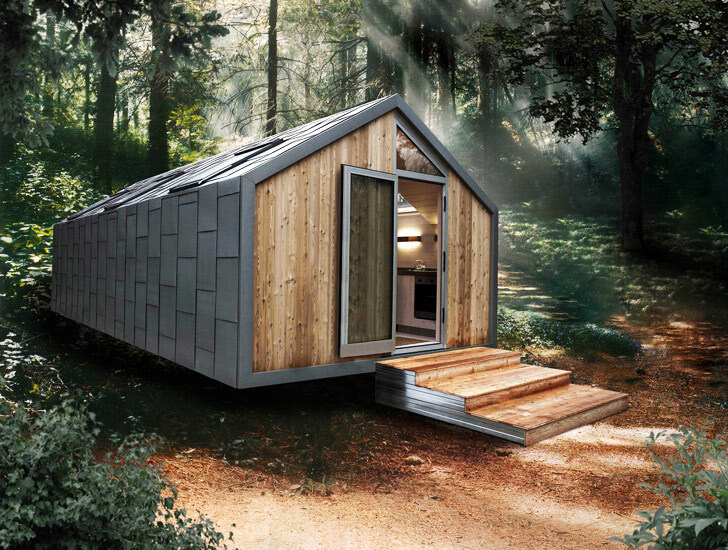 These prefabricated micro‐houses on wheels combine a sophisticated aesthetic with a quality guarantee. The prefab homes will have CasaClima's Class A certification and will be produced according to strict criteria of absolute environmental compatibility.